What Kind of Spark Plug is Best for My Mustang? Question: How do I know if I need to upgrade my spark plugs? These days it seems there are ten different spark plug variants for every one vehicle application – what’s up with that? What happened to the days when a car had more cylinders than spark plug options? When I started researching this topic I soon found myself up to my eyeballs in new and different spark plug technologies and pages upon pages explaining how they would indeed make your car better, faster, and stronger. Many brain cells were sacrificed trying to distill the abundance of information into something concise and effective but fear not! Those little neurons didn’t die in vain! The most common question I get about spark plugs is “Will they increase horsepower?” and there isn’t really an easy answer – there are lots of variables in this equation. In almost all naturally aspirated applications spark plugs will only give you more HP (we’re talking 2-5hp here, nothing to write home about) if your current setup is not completely burning all of the air/fuel mixture in the combustion chamber. However, most newer vehicles are so efficient that the computer will compensate for spark plugs that aren’t 100% efficient, so swapping plugs won’t give you any extra HP. Platinum has become the aftermarket standard in spark plugs and also the OE choice of several manufacturers. With its impressive melting point (3,223˚ F), shockingly high electrical conductivity, and excellent corrosion resistance, platinum is quickly replacing copper/nickel combos that have been the staple of electrode construction for so long. Its “precious metal” status makes it an expensive option (up to $1,400 per ounce!) but a cheaper alternative has surfaced. I present to you… Iridium! 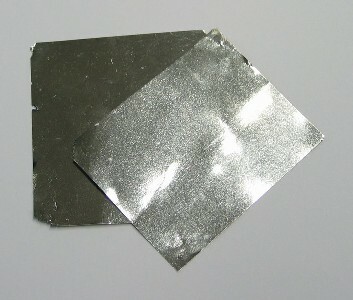 Iridium costs less, is denser, more corrosion-resistant, and its melting point is over 1,200˚ F higher than platinum! I find many of our customers think upgrading their spark plugs will be a cheap, easy way to gain a few horsepower and, as I mentioned earlier, it’s not – but there are instances (like nitrous, supercharger, etc) when upgrading your plugs is recommended. You don’t need to upgrade your plugs if you’re running standard bolt-on mods like intake, exhaust, throttle body, etc. 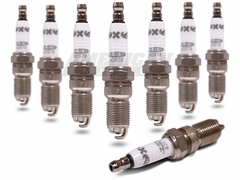 If you’re running nitrous-injection, a supercharger, or a turbocharger however, you will definitely need to upgrade – the Zex Power Racer spark plugs are specially designed for nitrous-injected/supercharged applications. While upgrading your plugs will not guarantee you a big jump in power, replacing your tired old plugs with a fresh set of aftermarket plugs can help your pony run more efficiently. The mind-boggling number of spark plug choices seems daunting (trust me – I know! ), but remember that your friends at AmericanMuscle.com are available to help you out. If you are ever unsure of what you should or shouldn’t modify, don’t hesitate to ask! For more in-depth information on Mustang spark plugs, see our “Best Mustang Spark Plugs” article. Previous Entry Which Engine Oil is Best for My Mustang? OEM is the way to go. It’s inexpensive and will restore lost horsepower. I run NGK tr6’s in mine(04 GT) , one step colder than stock I recomend them for anyone running nitrous. I agree with using OEM plugs & wires. Ford offers a variety of premium ignition parts, which, I have found thru my own experience, to perform the best. I have an 89 5.0 GT with all the bolt ons. It’s EFI, I’m using a complete MSD Ignition setup -6AL2 box, Wires, Pro Billet distributor, EFI Blaster Coil. I upgraded the Injectors to 24 pound. What plugs should I Use? Are stock plugs ok for the increased power of the MSD box? I am Planning on using good Aftermarket plugs any recomendations? I am building a street/strip daily driver. What would your opinion be about my ’94 V6 having new plugs and wires installed? Because of the age, do you think I would notice the difference? 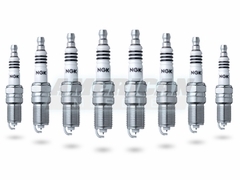 bottom line,, would an aftermarket spark plug (NGK) hurt my pony, or have any neg effects? should ii just stick to OEM? i installed the NGK spark plugs and the msd 8.5mm wires on my v6 pony and i think there may be a misfire or something because now it keeps making this loud ticking or tapping noise,i am afraid that if i dont do anything about it it will damage my car.any suggestions?